There have been a good amount of discussions recently that focus on influence vs. followers on Twitter, as well as how you decide whether or not to follow a specific account. I’ve also be reading posts and comments about perceived notions of “Twitter etiquette” with regards to following, specifically auto-following and mutual follows. I have some thoughts on these two specific interactions that I’d like to share, based on my personal observations and perspectives. “Auto-following” is, as you would expect, a process where a Twitter account starts following you automatically. This usually happens when you mention a specific word or phrase, or start following that feed (see the “mutual following” section below). 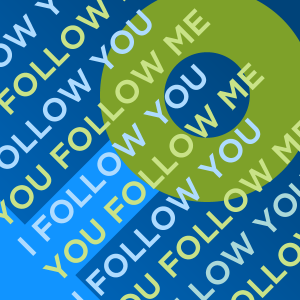 There are two basic reasons I can see for why someone would choose to auto-follow: a bid to get more followers themselves or to monitor what’s being said about them, their business, or a specific topic in Twitter. Personally, I think auto-following is highly inefficient. I once likened it to “shooting at a moving target, in high winds, blindfolded.” Nearly all of the auto-follows I’ve observed that come from keywords are totally off the mark. I once tweeted to ask for music recommendations, asking for “anything except country.” I immediately got followed by an account for a country musician. I never again tweeted anything about country, nor had I done so until that moment. Um, you’re doing it wrong! Think about how many false positives and missed marks you could end up with if you decided to auto-follow in this manner for the purpose of monitoring. It’s much more effective to use some basic mention tools like Topsy, socialmention, Hootsuite, Google Alerts, Twitter’s search engine, or enterprise tools like WebTrends or Radian6. That way, you can check for instances where your brand is mentioned, in context, and reach out to specific accounts appropriately and intelligently. Let’s go back a moment to the misguided exchange with the country musician. This could have been turned around had the musician engaged with me. They could have said something like, “Hey, I read that you don’t like country, but why not check out Song X from my new album?” Sure, it would have been a sales pitch, but that personal touch might have swayed me to at least give it a shot. 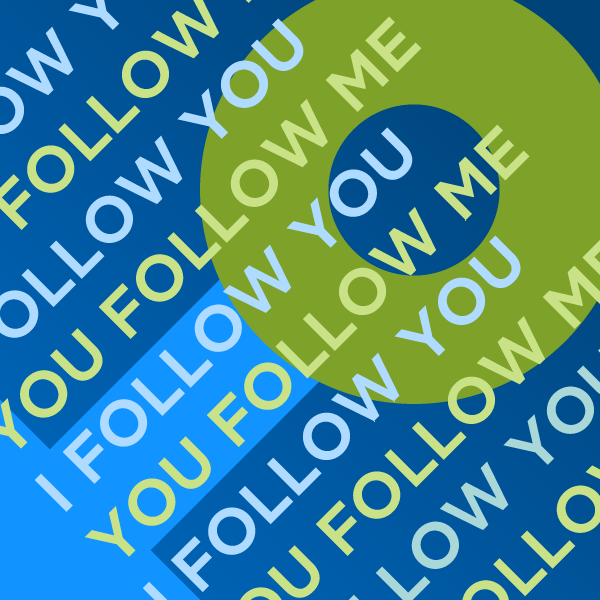 The act of “mutual following” is simple: I follow you, you follow me. Most often, this is triggered automatically. What I don’t like about mutual following, particularly when dealing with individuals, agencies, or small organizations, is the expectations that come with it. I don’t feel any obligation whatsoever to start following someone just because they started to follow me, and neither should you. I use Twitter as an information aggregator and professional networking tool. I purposely pick and choose which feeds to follow. I don’t have the time or the patience to wade through irrelevant or unrelated tweets simply to honor a “return the favor” agreement. That said, I also never expect anyone I follow to start following me in return. I’m quite certain that I’m not interesting to everyone, and that doesn’t bother me one bit. You may notice some interesting behavior when accounts try to solicit mutual follows from you. They’ll start following you, then, when they don’t get the “expected” follow back, they drop you. Tools like Qwitter can send you updates on who unfollows you; most often, it’s the accounts that started following you randomly. Now, I do see one solid use for mutual following from a customer service or issues management perspective: exchange of private, direct messages. For example, say you post a question or complaint to the Twitter account for your bank. They may ask you to follow them; when you do, they’ll follow you back. Once you’ve mutually followed each other, the bank can send you a direct message to discuss personal information about your account or give you contact information to get ahold of a representative. When the exchange is over, both parties can unfollow each other, if they choose. Overall, I think both auto-following and mutual follows, with the exception of the customer service interaction I described above, are rather pointless and don’t contribute to the value that can be derived from using Twitter. You’ll get much more out of this channel by directly choosing the accounts you want to follow, using proven and effective tools to monitor comments and sentiment, and pursuing focused, helpful engagement. Don’t contribute to the circle of obligation that surrounds these interactions, and never feel that you’re doing your followers or colleagues a disservice by avoiding them. Good relationships, whether in Twitter or in real life, should not be based on guilt or expectations. Sound reasoning. I would just say that mutual following makes sense in many situations. If you are a non-profit with members, you would certainly want to follow any one who follows you. You need a relationship with your members whether or not it is an issue with customer service. Also, while a car manufacturer may not want to follow everyone who follows them, it would certainly benefit from following its dealers. I am a firm believer, however, in using your twitter equity wisely. If you have more followers than followees, you have twequity. Twequity should be spent when it will pay-off for some time to come. You want to avoid having to block-and-unblock as much as possible. Ask yourself: will this tweep litter in my timeline? Will I look forward to getting their tweets? Will they be useful? Do they tweet in the middle of their night (thinking time-zones here)? Middle-of-the-night tweets I find are usually of little value – sort of like – drunken phone calls from old flames. Well thought out and presented. Honored that my blog post was a part of the catalyst for your thinking. Ultimately, of course, each person will use social media (and Twitter) according to his or her own goals, priorities, and worldview. For me, the human aspects of social media are pre-eminent. Whatever actions would be appropriate for face-to-face interaction seem to make sense online. Even when I’m in Manhattan and a stranger says, “Hello,” I smile, make eye contact, and return the greeting. I’ve noticed that New Yorkers don’t necessarily do that. I’m from the South; it’s what we do in these parts. Just as it costs me absolutely nothing to be personable and human in New York City, it really does not cost any thing to follow every human being back on Twitter. The cost is precisely ZERO. As far as littering one’s Twitter stream: unless you’re only following 40 to 50 relatively inactive Twitter users, you probably aren’t actually paying attention to your “Twitter stream.” To some degree, the marginal impact of following 1,000 or 10,000 or even 100,000 is about the same as pouring a gallon of filtered water into the ocean. Now, if you’re clairvoyant, then I can understand why you wouldn’t follow a real human being part. If you’re not clairvoyant, please stop and consider what you’re essentially saying about yourself and about your fellow visitor on the planet: about yourself: you’re essentially saying you are more significant, more important, or in some way superior than another—you’re passing a worthiness judgment on a fellow human you didn’t even give a chance; about the other human: you’re essential making a snap, superficial, and inadequately informed prediction about the potential future worth of a human being. Some people are comfortable coming to such conclusions about self and others. Others simply haven’t thought through how online interactions between human beings may have broader significance. For me, my personal preference is to err (if it is to err) on the side of affirming human dignity and worth. Here’s where it matters in the commercial world: If a prospective client comes to me seeking help with using media (whether social, printed, personal, digital or whatever) to advance their business goals, they can count on me to focus NOT on message creation and distribution FIRST, but on message absorption. I will do all that I can do to help them focus their attention on the people they seek to serve. Every client I work with for whom Twitter makes sense (and Twitter does not make sense for every client, by the way), will not only follow every human being back, they will do it with joy because we’ll have a system in place to make it simple. But that’s just me. Everyone is free to do what they choose; but if you’re asking me to help you, and you want to use Twitter, you’ll be following every human back on Twitter. That’s how we’ll work together to ensure you get the real value from your interpersonal communications. That’s just us.